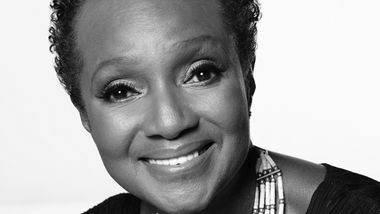 Sylvia Waters was personally selected by Alvin Ailey in 1974 as Artistic Director of Ailey II and led the company for 38 years. A graduate of The Juilliard School, Ms. Waters earned a B.S. in Dance prior to moving to Paris, where she appeared regularly on television. She has also performed in Brussels and at the Summer Olympics in Mexico City. In 1968, Ms. Waters joined Alvin Ailey American Dance Theater and toured with the Company until assuming leadership of Ailey II. In 1997, she received an honorary doctorate from the State University of New York at Oswego, and she has served as a panelist for the National Endowment for the Arts and the New York State Council on the Arts. Ms. Waters is a recipient of the Legacy Award as part of the 20th Annual IABD Festival, Syracuse University’s Women of Distinction Award, a Dance Magazine Award, and a “Bessie” Award. Currently, Ms. Waters leads The Ailey Legacy Residency, a lecture, technique and repertory program for college-level students that looks definitively into the history and creative heritage of Alvin Ailey.